A recent ruling by a Vernal judge that Utah’s nebulous driving under the influence law applies to bicyclists has some attorneys and cyclists perplexed. Some suggest that if the DUI law applies to bikes, then perhaps cyclists could be arrested for DUI while just walking their bikes, just as drivers are arrested for DUI while just sitting inside a stationary automobile. Following the court’s logic in the drunken-biking case, some suggest even tennis shoes or high heels could be construed as a “vehicle” and thus walking drunk in them could garner a DUI. The confusion may be cleared up, however, as the drunken-cyclist defendant plans to appeal his case to the Utah Supreme Court. The debate arises from a Dec. 14 ruling by 8th District Judge A. Lynn Payne in a case against a Nevada man, Keith Solmo, who was arrested for DUI after biking away from a Vernal bar in June 2008. City Weekly wrote about the case earlier this year [see “Wheels of Justice,” April 1]. Rosenbloom argues that an ordinary person can’t tell from that definition whether bicycles are included, and thus it is unconstitutionally vague. Rosenbloom says Solmo will appeal the ruling, hoping to invalidate his conviction and force the Legislature to rewrite the law. Rosenbloom admits it’s a high-stakes appeal because it’s rare today for cyclists to receive a DUI charge. But if the high court agrees with the Vernal judge, it would send a message to law enforcement statewide that “DUI-bike” is the law of the land, and that could have wide-ranging consequences. “The problem is when cops learn that they can charge something like this, then they’ll start stopping people,” Rosenbloom says. “Taken to its horrible end, [imagine] Moab in the spring. If a bicyclist is weaving, can he be pulled over for probable cause?” That’s not the most horrible—or absurd— end that some ponder. Ogden DUI defense attorney Glen Neeley asks, if a bike is a vehicle, what other “vehicles” could be included in the law? A first-time DUI in Utah brings a mandatory 48 hours in jail, home confinement or community service; either substance-abuse treatment or an educational class; and a fine of at least $700. While the law does not explicitly include bikes in the criminal penalties section of the DUI law, it does exempt cyclists and other users of a “device propelled by human power” from a driver-license suspension for a DUI conviction. Henry cited a February 2001 study published in the Journal of the American Medical Association that found cyclists with a blood-alcohol content of .08—the legal limit for DUI—are 20 times more likely than a sober cyclist to suffer a serious injury or death. Even a biker with blood-alcohol content of only .02, the researchers found, is five times more likely to be seriously hurt or killed. Of the 2,740 fatal Utah road crashes between 1998 and 2007, however, only 60 involved a bicyclist, according to the Utah Department of Public Safety. 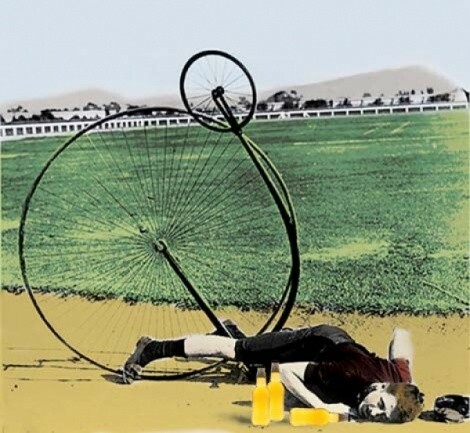 In the 2007 Crash Summary compiled by the department’s Highway Safety Office, the most recent data available, drug or alcohol impairment does not register among the contributing factors to bicycle crashes. The leading contributing factor to bike crashes—10 percent—is the cyclist driving on the wrong side of the road. In 33 percent of bike crashes, however, the cyclist was doing everything correctly. While Vernal City Prosecutor Clark McClellan did not return calls for comment, Salt Lake City Prosecutor Sim Gill says criminal laws should be applied to create a better, safer world, and he’s skeptical that DUI charges against cyclists accomplishes that. In “99 out of 100” cases of drunken biking, Gill says, he would probably choose to file the more-minor public-intoxication citation, even if the Supreme Court removed all doubt that DUIs can be charged against them. But if, for example, a drunken cyclist were cruising down a hill, over the speed limit, and then injured or killed a pedestrian, Gill would lean toward filing a DUI charge. Neeley, however, worries that one high-profile case of drunken biking involving an injury to a pedestrian could spur a new era of DUI enforcement against cyclists. Salt Lake City Bicycle Collective Executive Director Jonathan Morrison worries, however, that if cyclists do not live up to all the responsibilities of motor-vehicle drivers, then the courts and lawmakers may also give them fewer rights. He worries that a series of laws and court rulings that treat bikes and cars differently could lead to bicyclists becoming second-class users of the roadway.